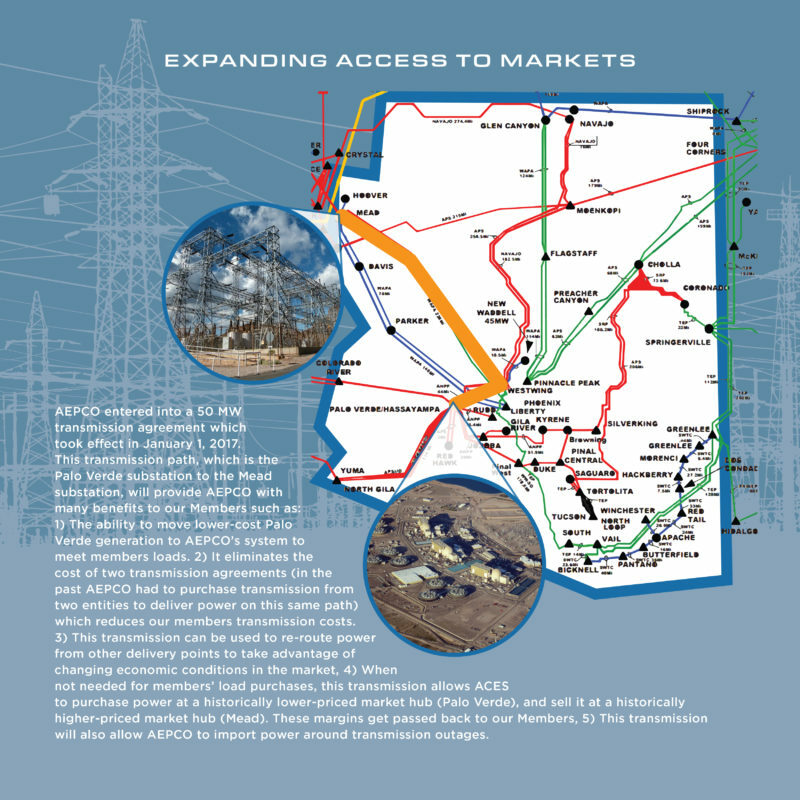 It takes a solid, reliable electric transmission system to deliver power from our plant to our Member distribution electric co-ops, and on to their member-consumers at the end of the line. We deliver wholesale electric power from the Apache Generating Station in Cochise, Ariz., to our six Member distribution co-ops, which serve members in Arizona, California, and New Mexico. Here are a few facts about our system. We have always been a leader in transmitting safe, reliable electric service, and we continue to find ways to enhance service and save costs. 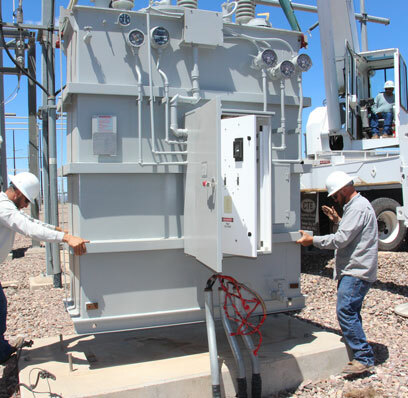 Electric co-op consumers across Arizona are benefiting from our work on the smart grid, which enhances electric reliability. Delivery reliable electricity requires a lot of communication. We communicate with our network and with our members through 30 telecommunications towers based along our lines. An employee in Bullhead City can talk to another team member in Safford, and both can view the status of various points along our network in real time. We depend on high-tech systems more than ever. Our engineering team uses new GPS-based LIDAR mapping technology that takes extremely precise measurements of our network. As a result, parts of the network can carry added load without the need for costly upgrades.